My 17 y/o daughter is meeting me at JFK after a long flight from TA with a stopover in Rome. She's landing at 6:45, but I figure 7:15 prolly before she clears customs. I think better that we just have a simple meal near the airport that night, because the next night we are making a serious journey for food to Drew's Bayshore Bistro, which I've been wanting to do for some time.. Anyway anyone who knows Queens a bit, any tips would be appreciated. Diner food, Asian, (Ramen in particular, so noodle bar or Japanese...), Greek, even just a good burger joint would be fine. 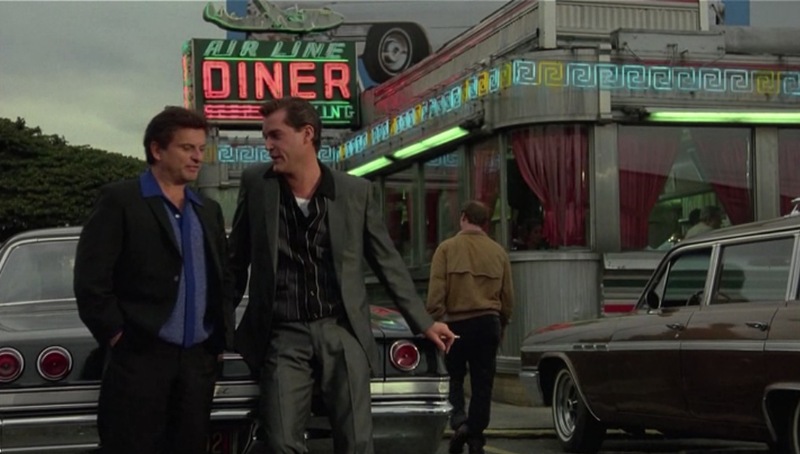 That diner is closed and is actually no where near JFK airport. In fact, it�s not really close to anything besides industrial parks. Can't do no credit cards. Need the easy record for business travel expenses. Also to be honest, the huge menu at Don Pepe is a turn off to me. Don't see how anyone can do a 50+ items menu really well. I see the place is incredibly popular and well respected, but of the two menus Uncle Peter's is more appealing simply because it's smaller. She may be real tired after a flight like that so she can get a quick and good meal at that Diner. I went to 207 in 1990 for 1 year the year the giants won the super bowl. I agree new park the best pizza. I I remember the big bow wow also that location became a fudruckers. Thanks again for all the details ID. It's been a long time since she and I have spent time together; I've missed her 15th, 16th, and recently 17th birthdays, for reasons not ripe for discussion. And we were always close since she was very little and mom woke me up to lullaby her back to sleep in my arms as an infant. It's been hard on me, our sparation, but even harder on her I am afraid. This first night is gonna be much more talking, and perhaps yawning on her side after that arduous schlep. I am in the process of finding the right fit with Airbnb for a Hoboken or Jersey city apartment. The next morning she'll have papa's frittata. I'll pop into Zabar's for some wicked cheeses and maybe some grocery-produce stores I recall on the UWS for some primo mushrooms, peppers, greens and little potatoes in between when I touch down and her flight arrives. My brother wants us to catch a matinee on Weds in between the two arrivals, and we should be able to cover it all. Of my two daughters, she was always the more curious one food wise, and would eat things along with me that her mom and little sister wouldn't touch - goat and sheep's milk sharp cheeses, Blue cheeses like Gorgonzola, Bresse, D'auvergne, aged goudas or gruyere. I'll have a small international bazar of cheeses she might recall from our trips to France and Italy when she was young. It'll be fun to watch her poke around inside the Zabar's bag. I'd better take notes from that bagel thread, too. Great spot to go to. Lots of police officers frequent it. To all of you who made an effort to help THANKS. The day went quite differently from how I imagined it at last update. Meanwhile my phone's battery was running low. We scooted over to T1 to wait for her there, check the Arrivals Board, and find her. The big arrivals board had goofy, seemingly conflicting info on it, and when I asked airport employee about it she refered to two small monitors that posted arrivals info, stating these were accurate and the big board that most people were studying was "broken." In either case we viewed disturbing information that the flight had actually arrived at 6:00 PM sharp, 45 min ahead of schedule and my daughter was nowhere to be found, nor had she texted me. The time was now approaching and past 7:30 - only 45 min post arrival, but late enough for me to start to get nervous, even to really worry. I found out from 1-2 people working in the terminal that indeed, even though the fight hand landed over an hour previously, ~100 people on that flight still had not passed through customs. So I waited, charging my phone once it drained out completely and waiting through the agonizing process of restarting it as it ran through the "optimizing 89 Apps," function it has automatically when re-starting from power up- turn on function. By know I was truly freaked out. More than 30 minutes more had passed since the Italian looking flight crew had come in and still no sign of her and worse yet, far worse, I had not missed ANY message or attempted contact from her since she'd sent me a selfie of her eating pizza at Fuminico, Rome, with the caption "when in Rome..."
Around 9 pm she waltzed in to the Arrivals lounge area, happy to see me, 3 hours after touchdowns.!!! The schmucks who deseminate information and had displayed the "arrived" notice on the various boards, somehow couldn't tell all of us people waiting for loved ones to arrive in the midst of a winter storm a minor but important fact. Alitalia Flight AZ 610 from Rome could not find an available arrivals dock to connect to! Its passengers waited over two hours IN THE PLANE waiting to actually dock and deboard. I lost a year of my life worrying sick about what had happened to my daughter that last hour, but everything was fine, totally fine. Went to the Georgia diner on the way back to our Airbnb, was just fine for all of us and finished off with a ridiculously large and delicious and fresh slice of chocolate mousse cake. I had a nice and simple steak salad with Bleu cheese crumbles and by request creamy Bleu cheese dressing, my brother ordered a delicious classic NY area diner specialty, Moussaka, and my daughter nibbled on both our dishes waiting for the desert and a coffee milkshake. She enjoyed reading the enormous menu and laughed about the American Anomaly that virtually every one of the copious salad selections had "MEAT" as one of its main featured ingredients. Family and good friends are so important.